Great for any skin type, this legendary moisturizer provides 24 hour hydration and gives an instant cooling effect–perfect for those hot and humid days. 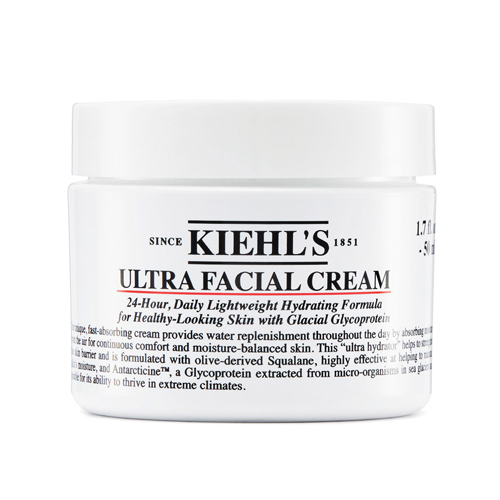 In addition to this, Kiehl’s has recently announced that their global bestseller is now reformulated without parabens, carbamides and T.E.A. For the most sensitive of skin types dealing with problems such as rosacea, Avene’s Skin Recovery Cream is here to save the day. With ingredients such as parcerine and plant squaline, dry, red skin will feel and appear to be soothed. With an advanced combination of hyaluronic acids, this ultra-hydrating gel cream from Fresh will give you petal-soft skin. After using this, problems such as dryness, dullness and uneven texture will be thrown out the window.